If you’re someone who produces videos professionally, sells video content, or simply creates videos as a hobby, you need a place to share your work online. Not every WordPress theme is set up to house your artwork — you’ll need a video theme that will create the experience you want your visitors to have the moment they enter your website. With the variety of WordPress video themes available, finding just one to use on your website may feel time-consuming and tedious. The good news is we’ve curated this list of 15 of our favorite WordPress video themes (in no specific order) to help you through the process. There are video WordPress themes tailored to a variety of different needs. Whether you’re looking to add your videos to a multi-purpose WordPress theme, or if you’re hoping to create a video-based site for your blog, portfolio, or other creative work, there are a number of options available. We’ve compiled the following list — which includes feature descriptions and a few key takeaways — to help you determine which option best suits your needs. Multi-purpose video themes are WordPress themes that aren’t necessarily completely video-focused, yet have strong and unique video-related features. These themes are ideal for anyone who doesn't need their website to revolve around their videos and would actually benefit from a wide range of additional features. Bridge is a multi-purpose theme ideal for sharing your business’ videos with customers. It provides you with options to integrate your videos in different layouts and sections. You can create section video backgrounds so your video takes up the entire width of the screen and add different transitions (including fades, animations, and more) to the beginning and/ or end of your videos. The video slider feature lets you place multiple video clips in one section so your visitors can slide right and left through all of your clips. Brooklyn is a multi-purpose WordPress video theme, meaning it’s ideal for virtually any type of business. The theme is easy to use due to its drag-and-drop page builder that allows you to add and embed your videos with the click of a button. There are options to feature photo and video galleries on different website pages as well as create fullscreen video backgrounds. There is also a video widget to make adding, editing, and formatting your website’s videos quick and straightforward. If you’re a video blogger these themes might be ideal for you — they’re built for people who want to include written blog content alongside videos on their website. Videoblog is a blog and magazine video theme that gives you the ability to list your latest or featured posts on your homepage. The rest of your site pages are formatted in two-column, magazine layouts so your written, video, and photo content are all aligned in an organized manner to enhance user experience. TheMotion is a video blogging theme with a feature called Live Customizer that allows you to add all of your video content, test it out in different sections, and see your changes in real time. The theme offers a variety of ways to feature videos on specific website pages in two columns. The theme has a sleek, modern design with the option to add a video slider so your visitors can easily move right or left through your collection of videos. Vlog is a video theme built for blog and magazine content. The theme is compatible with YouTube, Vimeo, and Dailymotion to make sharing your video content simple. You can group your videos into playlists to keep related content together so it’s easy to find for your visitors. You can also set your video’s thumbnail as your featured image for your article or blog post so you don’t have to deal with any images if you don’t want to. If you are looking to share your portfolio, feature your videos and photos in a gallery, and possibly sell your work straight from your website, the following portfolio and photography-based video themes may suit your needs. Reel Story is a video theme ideal for sharing your portfolio. The video portfolio module allows you to create a three-column grid layout with a “projects category” filter so your visitors can easily browse your work and locate specific items they may be searching for. The theme is also Retina-ready, meaning it’s optimized for sharing hi-res, professional content and videos. Fargo is a photography and video WordPress theme ideal for sharing your content in a gallery format. The theme’s Smart Galleries allow you to move from written content to photo content to video content seamlessly. Fargo’s flexible navigation includes customizable transitions that create an interactive, 3D experience for your visitors while they browse your different site pages. PhotoNote is a video theme ideal for photographers. The theme has a touch-enabled slideshow on the homepage so your visitors can slide through your landscape and portrait photographs. It’s compatible with YouTube and Vimeo so you can quickly add your videos to the top of your site pages — and make them fullscreen if you choose. PhotoNote comes with two different “skin colors” (light or dark) for your theme’s background so you can ensure your content pops off the page. Inspiro is a video theme built for professional photographers and videographers who want to share their content in a portfolio format. The theme features formatting options that allow you to create custom, fullscreen slideshows that include both your photos and videos. On each slide, there is a "video lightbox", meaning your video appears to jump off the screen as the entire background dims — this helps your visitors focus on the content they’re viewing. The theme also works for professionals who are hoping to sell their work because it includes a WooCommerce integration. Primero is a theme created for photographers and videographers. The theme also has several portfolio options for you to display all of your work in custom galleries. You can embed your photos and videos inline with text or other photo or video content. Videographers, directors, and producers may benefit from these WordPress themes. They have layouts and customizable options tailored to sharing and displaying videos of many lengths, topics, and genres. If you produce your own movies and videos, FilmMaker could be a great WordPress theme option for you. The theme gives you the ability to create fullscreen video backgrounds or add a parallax effect to your site pages — the parallax effect provides a 3D, cinematic experience for your visitors while they scroll down the page. The Producer is created for professional video production work. The theme is responsive, meaning your video content will look high quality and fit the screen no matter what type of device your visitors are on — whether that’s desktop, mobile, or tablet. You can also add the credit roll effect to the end of your videos to list all of your producers, designers, and more. Creative video themes are versatile and flexible enough to be used for a variety of business needs and different industries, however, they’re still all created specifically for video-based websites. Focus is a great option for displaying all types of videos, whether you’re sharing your work for professional or personal use. The theme has integrations with YouTube and Vimeo so you can easily transfer your content over from those platforms to your website. The theme also has creative layout and template options suited for video blogs and even educational video sites. VideoBox is a creative video theme with a WooCommerce integration for anyone who may want to sell their video or photo content. The homepage layout includes a slider that allows you to feature multiple, fullscreen videos or photos for your visitors to click through. VideoBox has a minimalist design with a dark color scheme making it easy for your visitors to focus on your content. VideoPro is a creative video theme with a responsive design and also includes layout options ideal for a variety of video types such as movies, games, news, entertainment, education, and more. VideoPro integrates with sites like YouTube and Vimeo, as well as social media platforms such as Facebook, so you can easily embed, import, and share your content. VideoPro also has a feature that allows you to create a multi-episode video series on your website — displaying related videos below whichever video is being watched by a visitor at any given moment. 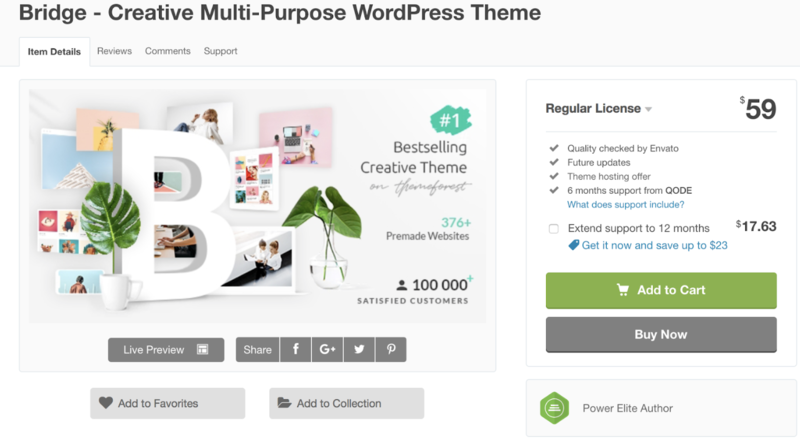 WordPress video themes allow you to display your content, mix and match your videos with photos and written content, sell your content, and more. Whatever your needs, there is a video theme that will work for your WordPress website. Try installing one of the themes above, or check out the number of other video themes in the WordPress theme library. By applying your unique content you can create a website that works for your business needs.